Think about the reasons why some many people are into – and loving/supporting – Apple, while others are into Microsoft, Google or Samsung. 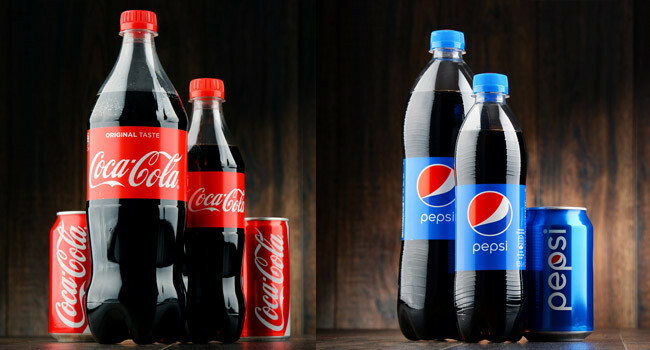 Or, why there is always a debate between Coca-Cola and Pepsi… All this fuss happens because these companies have created a product that became a brand in their consumers minds and at the same time, they developed and advertised that brand to the point people associate with it based on corporate values and design. If you want to start selling your products/services in 2019, you have to work on your brand. This is the main reason why, with this article, I will show you how to start a brand awareness campaign. It’s because brand matters. And, it matter a lot. However, before we jump into the waters and talk about tactics and strategies, let’s define what is brand awareness. Brand awareness refers to the amount your brand or company is recognizable and memorable to your target audience’s mind. Working on your brand awareness campaign in your early stage of your business is very important, because it helps your company be noticed. For 3 months, starting today, do only campaigns that don’t have any brand awareness tactics or brand awareness elements in them. You will see the importance of a brand awareness campaign only when you don’t engage in such a thing. And, it will happen just because this will have a big impact in your business. When you want to go out and eat something, what kind of restaurant will you choose? The answer is really easy to get. You will chose the one that you already trust, the restaurant that you know can deliver you with good food, right? Exactly. But what about the car you want to buy? What kind of car you will choose and why? Well, you will choose the brand that you know and trust the most. And, if you are not a novice, you will choose the one that you have already tested for a while. The brand that you have spoke about with a lot of people and got positive reactions. As I have already said, it will be all about the brand that you trust the most. This is what a brand awareness campaign will do to your company. It will establish that brand trust you want to have between your company and your clients. Building trust means that you have to create an open culture for your brand. You must receive all the feedbacks you can get from your clients, answer their questions, be sincere with your actions and create a story around your company. It’s exactly how humans relate to each other. They build relationships because they trust one another. Let’s play a game: I will tell you just a couple of words and you are going to tell me, what brand do you think they are associated with? “Just Do It” – Nike, right? Or, what if I will tell you “I’m lovin’ it” – Mc’Donalds, right? Well, these 2 big brands worked a lot on their brand awareness campaigns and they have managed to come up with a statement that it’s empowering to their communities and their audiences. You don’t need anymore to put a logo, a name or a visual identity next to these statements in order to understand who you’re dealing with. And this is because they have already made them recognizable as they are. That’s how they build their brand identity in your mind. And, let’s try to ignore for a few minutes the text based message. What if I will show you a simple icon that represents a bitten apple? Don’t you already know what brand is behind that graphic element? It’s Apple, of course. That’s why brands are working so much on to increase brand awareness around their company. They do it because they want to create a recognizable idea associated with their brand, in our minds. As a consequence, we can associate text and visual elements with their brand. Another brand awareness strategy is to associate your brand with an daily routine action. But for this strategy it takes many resources, time and an awesome product! It seems that, these day more than ever, people are using brands names to associate their actions or to explain them. “I am going to Google something” or, “I’m going to Instagram that photo” or “Let’s do a Skype call next Friday” or “I don’t know the answer, but let me Google it”. Brand names relate to daily action. Several years ago, nobody would have heard of them. However, now, they seem t have entered the dictionaries. Is this important? Well, yes and as of consequence, this is the level you want to grow your company to. You want – and should – to reach the point where people use your brand name as an action. And, believe me, it will take you a lot of time, a lot of effort and a lot of resources, but that doesn’t mean that such a goal is impossible to reach to. The best brand awareness campaign associate actions and product with particular brands, encouraging their target demographics to replace common used words with their branded terms. And, when you finally reach that level, the word-of-mouth marketing is already doing it’s magic. Now that we know the 3 simple and maybe the most important reasons to start your brand awareness campaign, let’s move forward and see what kind of brand awareness ideas you should embrace if you want to start engaging in a similar campaign right away. There are so many ideas you could use to start a brand awareness campaign that this post and any other similar content could end up to be made of tens thousands of words and they will not be enough. However, I will show you only a few ideas, enough to help you understand how to launch a brand awareness campaign and start your own campaign right now. We live in a world where anybody can create content and anybody can consume that content freely. All you need is a device connected to the internet and some inspiration. I believe that today you get to work on building an online brand with every piece of content you publish on the internet. It doesn’t matter if it’s a blog post, a video file, a podcast or just a simple Twitter status. It’s something that comes out of your own personal brand and people can consume it. If I could change the “Content is King” quote I will make it something like “Content is Everything”. You need content to connect with your audience. You need content to build your brand. You need content to launch a campaign. With content you are able to show to the rest of the world who you are and what your brand personality is. There are the brands like ‘Dollar Shave Club’ that created a viral video not even showing their audience how to use their product. And there is ‘Always’ that created a viral video and started an entire social movement under the #likeagirl hashtag. But, if you don’t have a working budget in your marketing department and as a consequence, you have limited funds to spend on a marketing campaign, you can slowly start with your blog, your social media content or even start recording and producing your own podcast show. 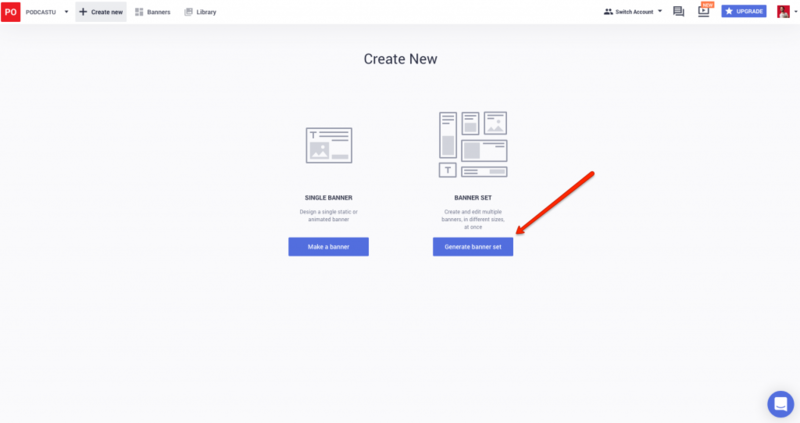 For example, if you want to have a voice in your industry and you want people to interact with you in a fun way, you can start your own podcast show for free by using the anchor.fm app. You just sign up, create an account, upload your podcast artwork, record your first episode and you are ready to go. And, you will get a lot of benefits and save a lot of time by having people send you new and interesting ideas via social media or email, topics that you can talk about it. Maybe they’ll tell you to invite some guests on your show. Maybe they will also give you suggestions in this area. All in all, you can create a brand awareness campaign around your podcast show and this will matter on the long run. There are thousands of festival, concerts, business events and small workshops where you can contribute as a sponsor and grow awareness on your brand. Think about festivals like Coachella, TIFF, Cannes and other similar events where there are tens of thousands of people interacting with brands. You can take the front of your competitors by sponsoring those events. For example, if your brand is a B2B company, you can sponsor a sports event, something that your clients are attending every year. It can be a golf event or a business event. You can be there for them, they will see your logo and they will recognize it if they are using your product. This way, you can match your brand personality and identity with the event’s audience. Think about brands like Red Bull or Virgin, brands that are continuously sponsoring tens of events just to be in front of their audience. 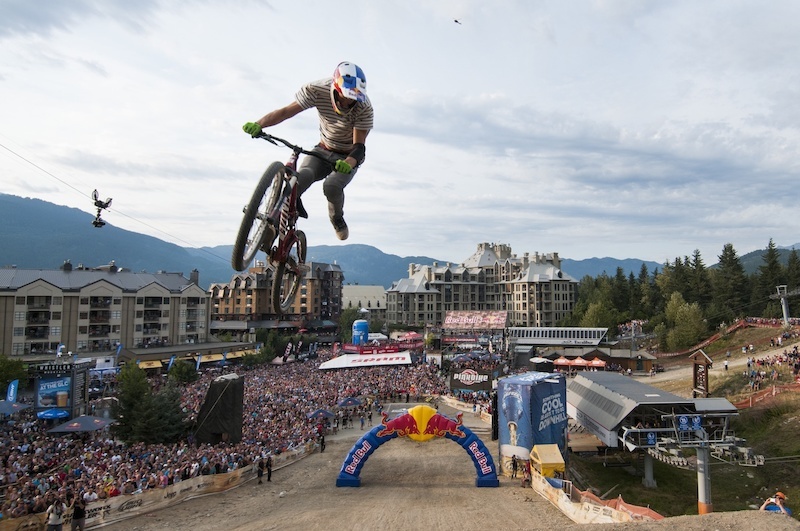 Red Bull is a well recognized brand because it grew a brand recognized for sponsoring extreme sports shows and events, a decision that made a great fit for their energy drink products. More of that, they are not just sponsoring events, they moved even further, sponsoring athletes, sport teams etc. They have also launched their own media company where they broadcast these events. And, I bet that every time you think about an energy drink your will want to have a Red Bull. That’s only type of strategy on how to get more brand awareness. Every member of this society is expected to have a social responsibility, regardless the fact that we perceive ourselves as individuals or as part of organizations and companies. CSR (Corporate Social Responsibility) is a concept that gives a company a more humane personality. Just think about how your company can help this world be a better place. Consumers are much more open to spend money on services or products of a brand that shows commitment in being socially responsible. A CSR campaign does not only improve and give a better image to a company in regards of its targeted audience but it also creates a more deeper relationship between colleagues and also a better empathy for the world outside. 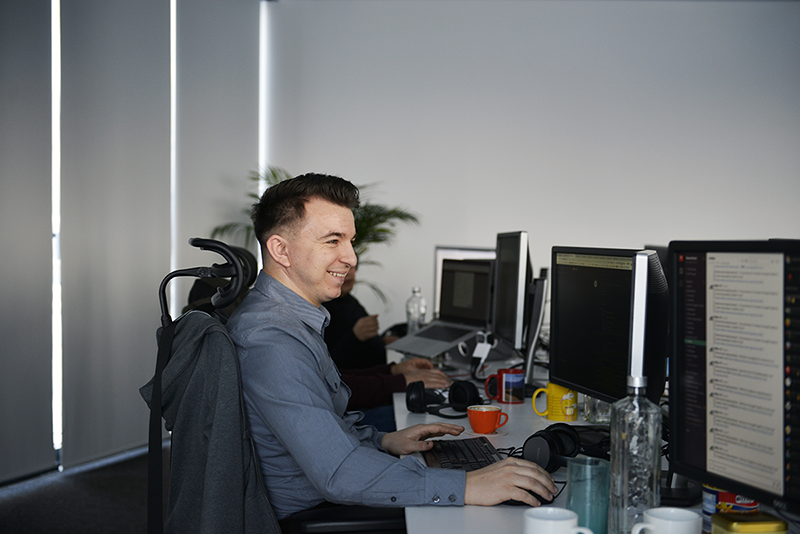 For example, at Bannersnack, we created an academy where we are teaching students how to write code and the first steps they need to know if they want to become developers. We do this because we believe in the future of our world, we invest in it and we are doing it regardless of time and money. As a consequence, we also managed to create an entire class with computers and practical teachers that are our colleagues who are giving their time to teach these students. Why should you start a CSR campaign right now? There are several methods to build a brand awareness campaigns and among them, there is also the opportunity to create and pay for a display advertising campaign. 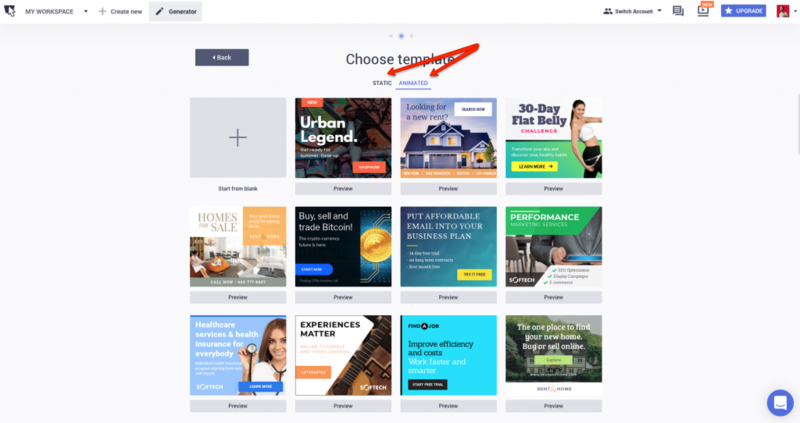 I bet that you already know what I’m talking about, because I know that you have already seen some of the most popular display ads on your favorite website or even on social media channels. 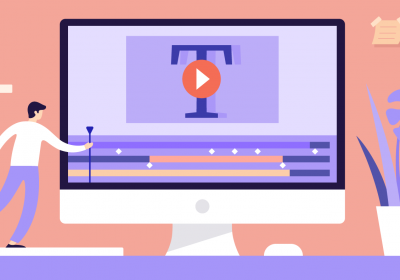 We wrote an article showing you the 5 steps on how to build trust with and through your display ads. I believe that not every online banner ad we het to see on the internet is created with the purpose of selling a product or a service. Many of these display ad campaigns, even if they are served by Google, Facebook or any other network, have the purpose to build a brand. Here is a display ad campaign that I saw on Dribbble (this is a social network for designers – here are all the social networks a designer should use if they want to get more clients or build their brand) for Monday app. The same add I saw on the colorhunt.co website. The best way to create a simple brand awareness campaign with display ads is to create good looking banners. And you can do this with Bannersnack. First step is to log in, with Bannersnack. The second step is to create multiple set of banners. Why? Because you want to launch a brand awareness campaign using multiple sizes of the same design. 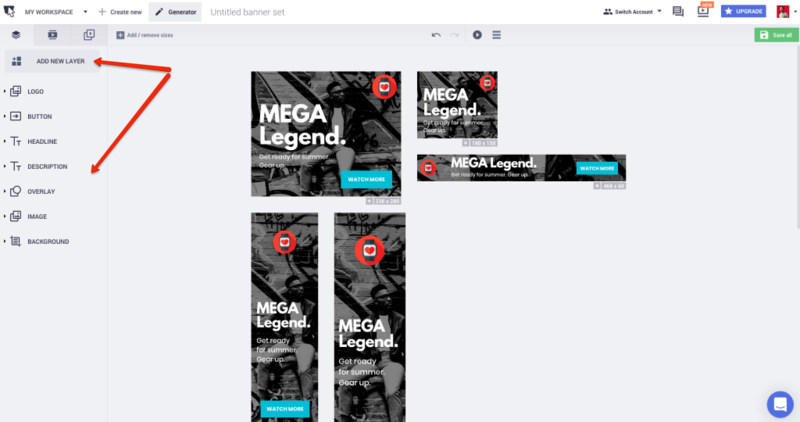 And, we have solved this problem with our Banner Generator – the feature that will save you time and energy. 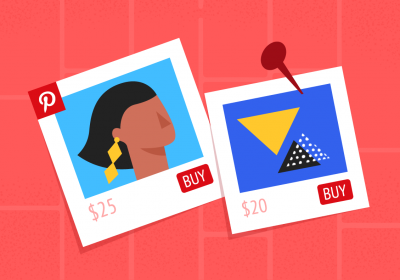 The third step is to choose the sizes you want to use for your display ad campaign. I’m recommending you to try a minimum of 5 new formats. According to our study, these are the most used display ad sizes, so you can start with them. 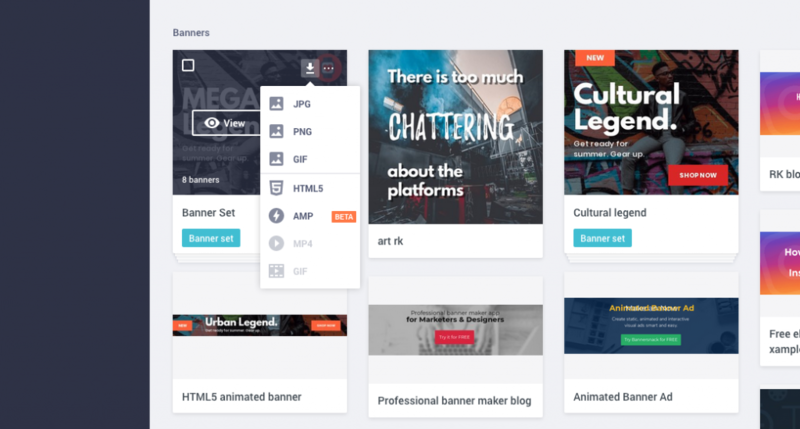 The next step is to choose a static or an animated template as a reference point from where to start creating your own banner ads. Download the entire zip archive. Now, you are ready to publish it on your favorite network. 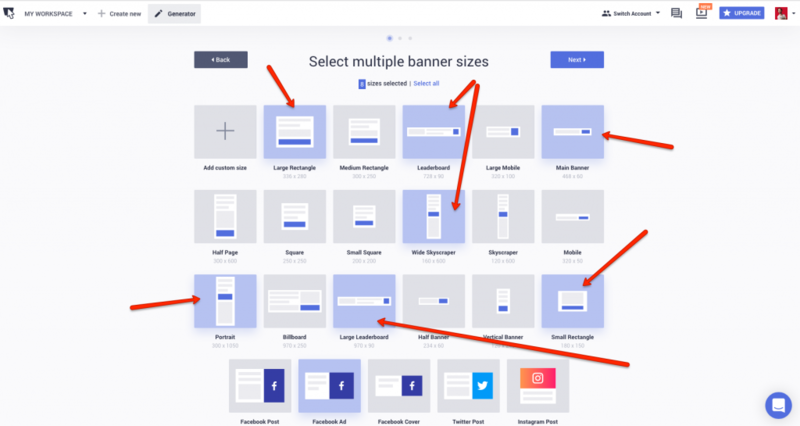 This is the easiest way that we know of, If you want to start creating multiple banners, on different sizes, based on the same design. I bet this tactic will save you a lot of time. Now that we know what kind of brand awareness campaign you can engage with and how to grow your brand, let’s see what metrics are important when we want to measure the impact of the campaign on our audience. You should never forget that this kind of a campaign is an awareness campaign. This means that you won’t measure the impact of your sale, at least not right away. You will measure the impact the campaign has on your brand. Even if brand awareness can’t be measured, I also think that there are some small metrics we could track and see how everything falls into place, how the campaign is working out. Brand Mentions – if you have a brand name (which I bet you have), you can measure the campaign in 3 simple ways. First, you could go on social media and just type your brand name in the search bar and hit enter. There, you will get to see and count all the mentions people that interacted with you left on that social media channel. The second measure is via hashtags, also on social media. Check out if people used the hashtag of your brand in their posts. The third one is if your brand was mentioned in a publication. For this measure tactic I would recommend you to try out apps like Mention or Buzzsumo. Web traffic – even if you can’t track down the channel from which you get the entire amount of traffic, you can make an idea on regards of your awareness campaign, before and after. Check with your analytics and analyze them. And, if you are engaged on a display ad campaign, check for all the relevant traffic you get from the websites you have worked with. Online survey – this is a process you can work with after you have finished your brand awareness campaign. Just run a quick survey and ask your audience if they saw your campaign, where they saw it and what they think about it. It will help you have a better understanding about how your campaign impacted your audience. Don’t expect to find the perfect algorithm that will show you the exact number of impressions you get – or will get – with this campaign. However, consider the fact that these are a bunch of good metrics for you as a marketer or small business owner and they will help you understand how your work have impacted your audience. They will also help you learn whether the impact was real or not. 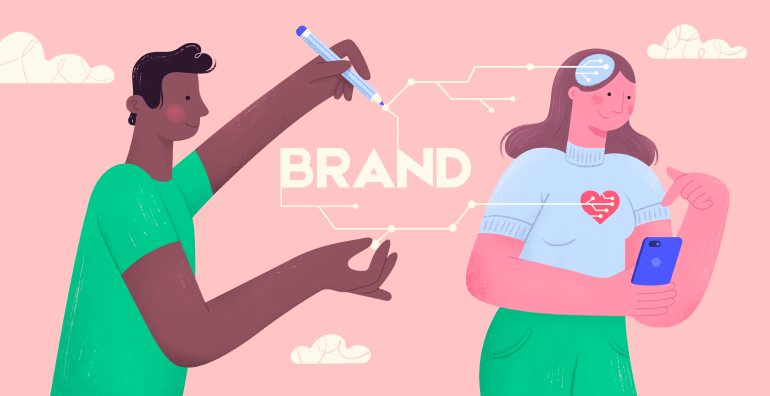 Here you go: These 3 steps are everything you need to know about building brand awareness, starting with learning about their importance and up to how to measure their effectiveness. Even if you won’t use them all in your brand awareness campaign you should never forget that a brand is like a verb – you are in a constant move with it. You get to move up and sometimes you will get to move backwards. However, you will never get to stay in one place for a long time. Let us know in the comment section if you know any other great brand awareness examples.